You might have already heard that we’ll be giving away Loog Guitars at the Los Angeles Guitar Festival this weekend from our updates on Facebook and Twitter. We’re very excited about being able to help out with such a great festival – and seriously stoked that we’ll get to see some of the best guitar legends out there. Don’t believe us? 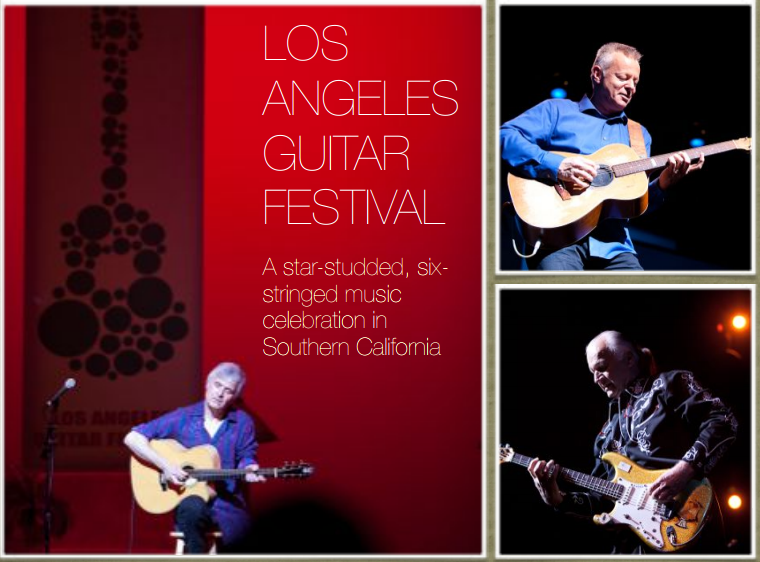 Events include special performances by the Eric Johnson, Albert Lee, Renegade Creation, John Jorgenson, Peppino D’Agostino and Doug MacLeod – definitely guys that any guitar lover has got to see live at least once in their lives. And just in case your life had avoided these guitar mages up until now, we thought it would be nice to share some videos of their best perfomances with you. This way, even if you’re not in the LA area on Friday and Saturday (and if you are, you should hurry before tickets sell out! ), you can still enjoy some of the finest guitar work right from the comfort of your own home. Who knows? Today you might be just carrying a tune on your 3-string Loog – but with enough practice maybe one day you’ll be half as good as these guitar wizards. And after watching the videos, you’ll also agree that half as good as these guys is enough to become a bonafide legend! This guy should need no introduction. Cliffs of Dover is as ubiquitous as complaints about the heat right now – it was even on the first-ever Guitar Hero! The song is just the tip of the iceberg of Eric’s incredible talent, which you can see for yourself in this clip from a live perfomance in 1988. Apart from his grammys and hanging out with Eric Clapton, Albert really knows how to work up a guitar – and a crowd! If the audience is only a tad as enthuthiastic as the one in the video, we can guarantee that Albert’s show will be the most fun. This is what Country’s all about! The best thing about these guys is that they never forget about the “playing” in playing guitar. Featuring TWO great guitarists like Robben Ford and Michael Landau, the band’s rootsy, blues rock sound is the result of the constant interplay between both, resulting in what is just, well, awesome music to any ears. Don’t blame us if this video just blows your mind. The way this guy plays guitar is much more than music – we think the San Francisco Chronicle got it right when calling him a “poet”. Just watch the video and find out for yourself what makes a non-vocal song pure poetry and artistic expression. Doug knows human nature like he knows his guitar: perfectly. He combines stellar blues with a great knack for storytelling and an amazing sense of humor, making his shows one pleasant experience after the other. He’s also big on interacting with this audience – so don’t be shy and shout back! 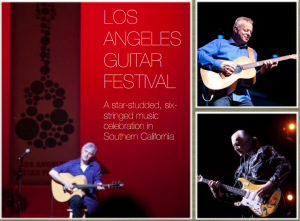 Remember: the LA Guitar Festival will be on Friday, August 24 and Saturday, August 25 at the Redondo Beach Perfoming Arts Center. Most events are in the evening but make sure you check in early: the venue also features vendor stands and cool product demos, delicious food and MANY giveaways – including a Loog Guitar! Looking forward to seeing you there!